The topography ranges from high moorland, hills and peaks to indigenous forest, ravines, streams and waterfalls. Due to its high altitude, the park is very rainy and misty, with roads that become impassable during the wet season. The Kenya Wildlife Service and Rhino Ark, a charity dedicated to the protection of the area and its wildlife, run Aberdare National Park. Aberdare is home to the second largest herd of endangered black rhinos. Many Kenyan animals can be seen here including African elephants, lions, rhinos, black leopard and the elusive bongo antelope. Two of Kenya's best safari lodges are located in Aberdare National Park Treetrops and The Ark. Both provide excellent game viewing at night over the watering hole. Created in 1950, Aberdare National Park was a far-sighted decision to protect the Aberdare Mountains and surrounding wildlife. It is situated 100km (62 miles) north of Nairobi, at the very center of Kenya. 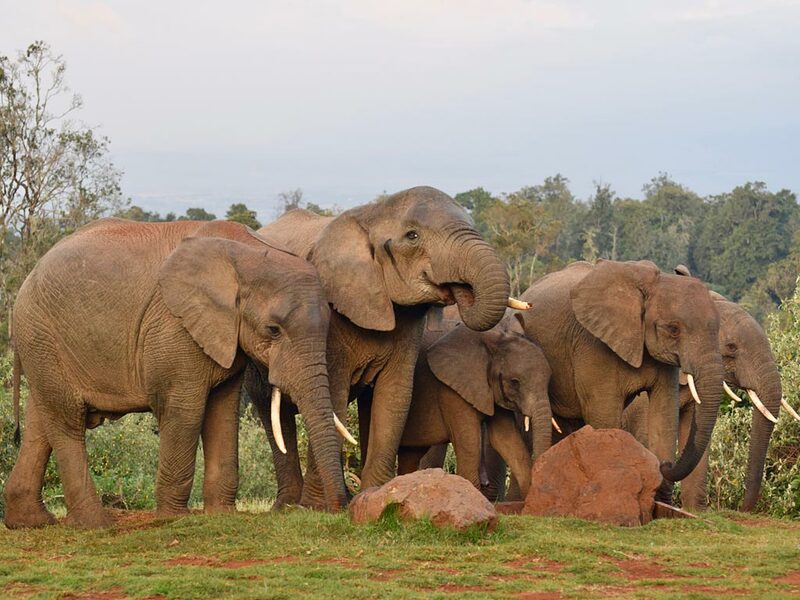 Aberdare National Park covers just 766km², which is small compared to other national parks, and has more difficult terrain due to its location in Kenya's central highlands, to the west of Mount Kenya. The volcanic range of the Aberdare Mountains varies from the high moorland at 3000 meters (9842 feet), to the peaks of Kinangop (3906m/12814 feet) and Ol Donyo Lesatima (3999m/13123 feet). The rich, red volcanic soil provides excellent growing conditions for the indigenous forest, and lies in stark contrast to both the forest and the mountain's rugged and beautiful peaks. One of the main features of Aberdare National Park is that it is home to the second largest population of black rhinos, which are an endangered species. Other animals that may be observed in the park include African lions, leopards, baboons, and black and white Colobus monkeys and Sykes monkeys. There are also over 250 species of birds, including hawks, goshawks, eagles, sun birds and plovers. There are 60km (37 miles) of primary roads and 396km (246 miles) of secondary roads, but they all become virtually impassable during the rainy season, which lasts from March to May, and to a lesser degree, from October to December. 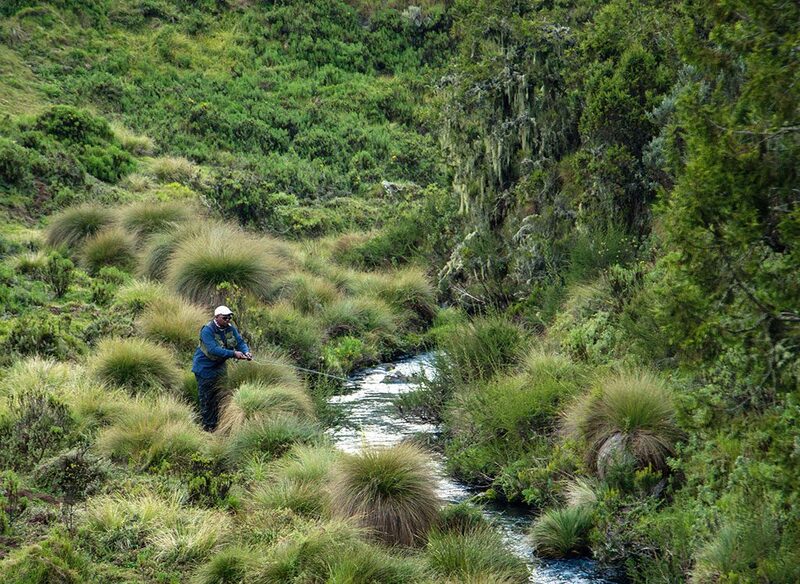 There is still some rainfall and mist year-round due to the high altitude of Aberdare. Although Aberdare is close to the equator, the altitude governs the climate. It is cooler than the lower plains and coastal areas, and very misty and rainy year-round. The wettest months are during the main rainy season, which lasts from March through May, and the shorter rainy season from October to December. At these times, roads become impassable. Over 1000mm of rain falls annually on the northwestern slopes, and 3000mm on the southeastern side of Aberdare National Park. 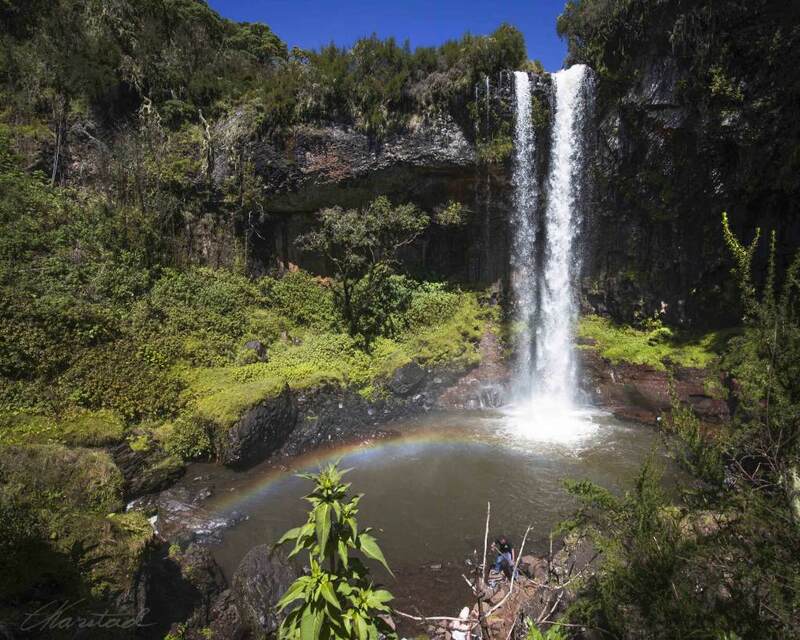 Aberdare National Park offers many activities and tourist attractions, as well as wildlife safaris. See African elephants, lions, rhinos, black leopards and bongo antelope as well as many other animals native to Kenya. Is good here, with over 250 species of birds recorded in Aberdare National Park. In the ice-cold Guru Karuru and Chania Rivers is another popular activity. You can also take time to admire Lesatima and Kinangop peaks or walk through the moorland and visit the magnificent waterfalls. Night Game Drive- Do a nocturnal animal viewing from The Ark or Treetops lodges. In fact, it was while vacationing at the Treetops Lodge that Princess Elizabeth of Great Britain learned her father had died, thus making her Queen. Hiking- the Twin Hills, Elephant Hills and Table Mountains. The Ark Tree Lodge overlooks one of the largest salt-licks and waterholes in the Aberdare Mountains where you can see a variety of forest game unlike anywhere else in Africa. The lodge is built in the shape of an Ark and offers accommodation in en-suite rooms. The waterhole is floodlit so you can view wildlife at night. 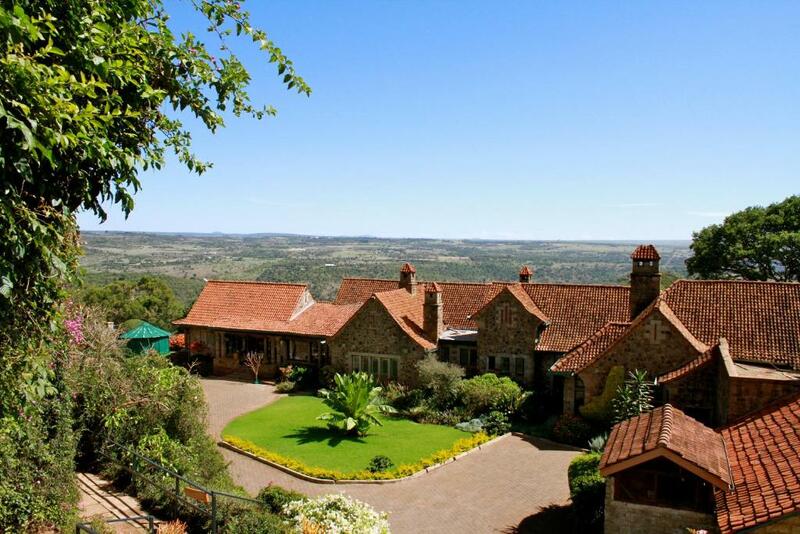 Is nestled on a slope of Mweiga Hill in the Aberdare Highlands, part of the Great Rift Valley. Considered a heritage property in Kenya, The Aberdare Country Club has retained the charm of a private home with the simple comforts of a country inn. Activities include horseback riding safaris, golf, nature walks, game drives and more. Sapper Hut has two beds and an external bathroom. Tusk Camp Banda has two bandas to sleep eight guests. The Fishing Lodge has three bedrooms and two bathrooms to sleep seven guests. January and February are good months to visit Aberdare, as are June to September. March to May is the heavy rainy season and should be avoided because the roads become impassable. There may also be some access problems from October to December.